In late December, viewers were surprised to discover the new Netflix release of Bandersnatch, an interactive movie from the makers of the psychological series Black Mirror. Although Netflix has released interactive media such as Minecraft: Story Mode before, this is the first directed towards an adult audience and the first piece of interactive fiction from Black Mirror. It's fascinating to see Netflix take the plunge with interactivity, but so far, it doesn't work. You play as Stefan (Fionn Whitehead), a young programmer producing a video game based on a Choose-Your-Own-Adventure-style novel written by a madman. He finds success after taking a job with a large video game company, but soon runs into unexplainable bugs with his masterpiece-in-progress. You, the viewer, make choices as the story unfolds. Sometimes they are as small as choosing which cereal to eat in the morning, and other times they're more significant, like whether Stefan should hop off a balcony during an intense acid trip. 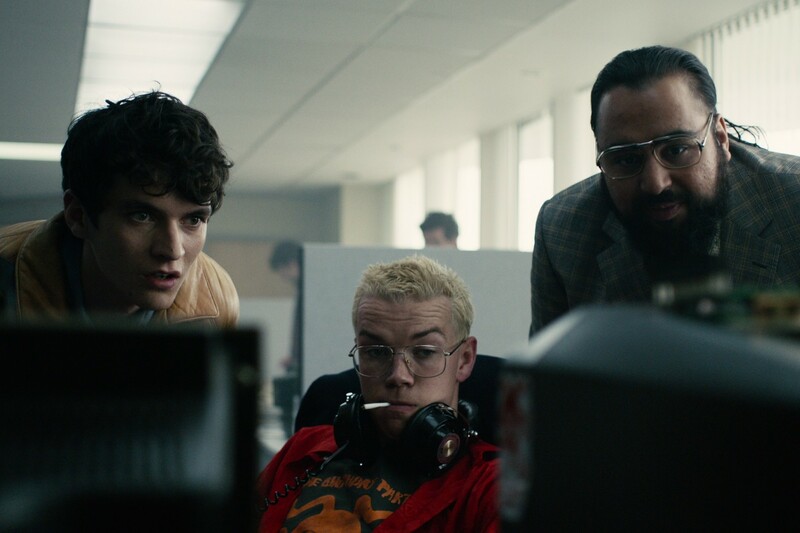 The core idea behind Bandersnatch introduces some well-done metafictional humor and makes an interesting comment on free will, but the story itself isn't cohesive. Instead of living with the consequences of your choices, you're sent back in time whenever you reach a dead-end. From there, you try again, progressing further by making different decisions. You're at the whim of Black Mirror's creators - like a puppet - and you end up having little control over what ultimately unfolds. While it's thematically intriguing, it doesn't make for a good game or story. Bandersnatch's formula of choice and consequence is similar to problematic concepts from decades-old video game design, and Bandersnatch fails to bring an engaging modern spin. With its dead-ends, backtracking, and illusion of choice, it feels more like an adventure game from the '80s and '90s. This isn't exactly a good thing, since that type of video game design has largely been abandoned by modern adventure games. When Maniac Mansion creators Ron Gilbert and Gary Winnick set out to develop 2017's Thimbleweed Park, a tongue-and-cheek adventure game about a mysterious town, they knew they wanted to produce something both similar and different to their past projects. Thimbleweed Park would be a love-letter to the genre, they decided, but their approach to story and puzzle design would be modernized. During Thimbleweed Park's development, Gilbert wrote on the game's blog about how he believes dead-ends are the "product of bad game design." He writes, "A couple of people mentioned the dead-ends in Maniac Mansion, and I want to reiterate what Gary and I said in several interviews: There will be no dead-ends [in Thimbleweed Park]." Rather than trapping the player in dead-ends and backtracking as seen in Maniac Mansion or King's Quest, Thimbleweed Park instead pokes fun at these concepts and offers logic-based puzzles. The story remains engaging throughout, with a slew of colorful characters that break the fourth wall and effectively satirizes old adventure game design. Bandersnatch is mostly satire, too, but the "gameplay" jumps around a confusing timeline, making you repeat past scenes with different decisions. How you interact with your therapist, whether you agree to take drugs, and if you manage to open a secret safe, for example, all bring you down different paths and to several Game Over screens. These soft endings then send you back to earlier scenes, so you can choose the "correct" choice to further your progress. You have to do this numerous times to eventually receive a true ending. The concept of "right" and "wrong" choices bothered me and cornered me into decisions I didn't want to pick. This is part of Bandersnatch's statement on the illusion of choice, but unlike Thimbleweed Park, it doesn't package that into an interesting story. I often asked myself how it was possible to travel back in time after each dead-end, wondered whether past decisions were completely erased, and was baffled at what was true and what wasn't. It raised a lot of questions and failed to answer many. Netflix is working to produce more interactive content in the future, but I hope they derive inspiration from elsewhere. Instead of concepts similar to Choose-Your-Own-Adventure books (the publisher of that series is actually suing the company) and old adventure games, it would be best to look at modern takes on the genre like Life is Strange and even choice and consequence in The Witcher 3. Life is Strange isn't perfect, but it still has meaningful decisions that grip you because it's wrapped up in a compelling story with character development. The Witcher 3 brings more moral ambiguity, with many choices feeling neither wrong or right, and such decisions affect the world around you. Seeing memorable and moldable narratives in television could bolster Netflix's direction of interactive media if they put together a dedicated team and set aside adequate resources. I want to see interactive Netflix shows that have sophisticated branching narratives, or at least stories that feel less gimmicky than Bandersnatch. Otherwise, it sure feels like a dead-end idea.